Fungicides Ltd. - Patent my French! National limitation is a much appreciated tool of patent owner litigants in France. In particular, when they are faced with a serious validity challenge, it is often a good option for them to file a request for limitation at the INPI (French patent office) in order to amend their claims – although there may be more unusual reasons for filing a request for limitation, as we will see below. Limitation proceedings are cheap and generally straightforward, and to some extent there can be more flexibility in terms of allowable claim amendments than at the European patent office. However, when a limitation starts going south, well it can go way south. This is precisely what happened in a famous Syngenta case. Syngenta prevailed in the end (at least on the limitation aspect of the case), but not without having to plead its case in front of the Cour de cassation (French judicial supreme court) – twice! A fungicidal composition comprising a fungicidally effective amount of a compound according to claim 1 and a fungicidally acceptable carrier or diluent therefor. On September 28, 2009, the patent proprietor filed a request for limitation of the French national part of the patent, at the INPI. They requested that claim 8 be amended so as to recite a composition comprising, in addition to a fungicidally effective amount of a compound according to claim 1 and a fungicidally acceptable carrier or diluent, a second active compound selected from the group consisting of (i) fungicide compounds selected from a first list, (ii), insecticide compounds selected from a second list and (iii) plant growth regulator compounds selected from a third list. The INPI director refused the request for limitation on May 6, 2010, and Syngenta appealed. Appeals against decisions by the INPI director must be brought in front of the Cour d’appel de Paris. On September 7, 2011, the court sided with the INPI director and dismissed the appeal. […] The INPI director exactly analyzed the scope of the requested modification and rightly noted that it did not result in specifying the composition of the product mentioned in the initial version of claim 8 by restricting it to a list of possible combinations, but on the contrary had the effect of adding to this product a new active selected from a large list, actually offering an immense scope of new possible combinations. […] He rightly noted that the proposed modification adds to the compound with the carrier or diluent according to claim 1 recited in the initial text another compound although neither the claim sought to be modified nor any other claim mentions a compound comprising a second active compound. I think it is fair to summarize this view as meaning that the modified version of claim 8 was directed to a different product (an aliud), namely a combination of two active compounds whereas the invention claimed in the original patent was just one active compound with some appropriate inactive additives. not investigating whether the subject-matter in the modified claim was not directly and unambiguously disclosed in the description of the patent as granted. By this, I assume it was meant that the Cour d’appel should not have focused on the claims as granted only, but should have looked for a possible support for the modified version of claim 8 in the description. This limitation is thus directly and unambiguously supported by the […] initial description, literally copied, and it was thus disclosed. This limitation therefore does not entail any broadening of infringement acts nor impinges on the protection of third parties. To translate this into EPO jargon, the subject-matter of the modified claim was found not to extend beyond the content of the application as filed (compliance with Art.123(2) EPC), and the modification was also found not to result in any extension of the scope of protection (compliance with Art.123(3) EPC). Alas! It was the turn of the INPI director to be dissatisfied with the appeal judges, and to thus file another petition with the Cour de cassation. The INPI director (or rather the legal department of the INPI doing the work) may have decided that further judicial clarification was required before adapting the INPI practice for future cases. On March 17, 2015, this petition was dismissed. 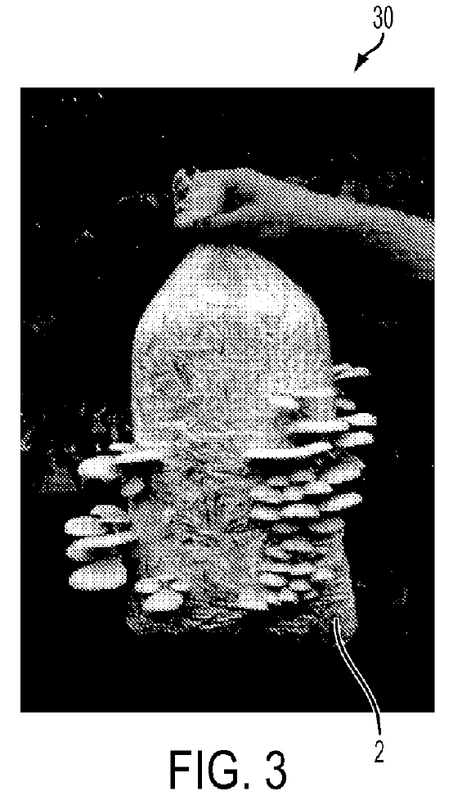 How on earth did all these mushrooms grow from this bag? This mess would never have happened with the proper fungicide combination. The proposed amendment of claim 8 resulted in a modification of the subject-matter of the patent, and a shift of protection. It cannot be considered that there is direct and unambiguous disclosure in the description for the proposed new claim since there is not enough information for the skilled person to actually implement the claimed subject-matter. No combination of compounds was actually tested and the lists of second active substances in the description were merely of a speculative nature. the claimed combination was disclosed by the initial description. The theory put forward by the petitioner was that there can be no proper disclosure if the skilled person is not presented with sufficient information to carry out the invention. Readers familiar with EPO practice will immediately see that this theory, on the face of it, mixes up extension of subject-matter with insufficiency of disclosure, which are two distinct requirements under the EPC. Although this approach was certainly unorthodox, it may not have been flat-out absurd. After all, whether any new matter was added relative to the contents of the application as filed has to be appraised by the skilled person. Thus, it is at least arguable that a formal mention of a certain feature in a text could be disregarded by the skilled person as an actual disclosure, in case it does not represent a true technical teaching but rather a mere speculative statement. The unorthodox theory was not endorsed by the Cour de cassation, but maybe because in this case there was no real insufficiency issue anyway. The way I understand the court’s position, finding out an appropriate dosage for the claimed composition was relatively straightforward and did not require any research program. Thus, the argument could be tried again in another case where there would be greater difficulties for the skilled person presented with a modified claim. As to the first point in the INPI director’s petition, this was the objection which had prevailed in the first 2011 judgment before being overturned in 2013. The supreme court rejected it by noting that the judgment under appeal had simply applied the supreme court instructions provided in the first cassation judgment. So, no real surprise there, but frankly I am not sure the Cour de cassation really addressed the central issue of whether the modification in claim 8 shifted the scope of protection towards an aliud or not. The initial reaction of any practitioner is probably that, since claim 8 as granted had an open language (i.e. a composition “comprising” certain compounds), this claim covered all possible combinations including the compounds recited in the claim. Therefore, adding specific lists of partners into claim 8 necessarily restricts the claim and cannot broaden it. But things might actually not be that simple. Schematically, claim 8 as granted protected a composition comprising an active A. By seeking to amend this claim to cover a composition comprising an active A in combination with an active B, the patent proprietor may have opened the door for a potential claim of contributory infringement against someone supplying active B to another person making the combination A + B. In G 2/88 (OJ 1990, 93) it was clearly ruled that it is not necessary to consider the national laws of the contracting states in relation to infringement and that this issue is not relevant when deciding upon admissibility of an amendment under Art. 123(3) EPC. With respect to the question of an extension of the scope of protection under Art. 123(3) EPC, it is, rather, appropriate to take into account the fact that the protection conferred by a patent is determined by the terms of the claims, and in particular by the categories of the claims and their technical features, in accordance with Art. 69(1) EPC and its protocol (G 2/88, OJ 1990, 93). But whether a national court should also exclude any infringement consideration when dealing with the admissibility of a request for limitation is questionable. Also, the reason why Syngenta desperately wanted to modify claim 8 in the first place was because they had filed a phytosanitary SPC (Supplementary Protection Certificate) application for the commercial fungicide product based on the combination of the active substances azoxystrobin and folpel. A first SPC had been granted for azoxystrobin itself based on the EP’375 patent. Azoxystrobin was one of the compounds encompassed by the Markush formula in claim 1. Syngenta then wanted to obtain a second SPC for the combination product. The INPI director refused the second SPC application on September 2, 2009 since the combination product was not “covered” by the patent, since no claim recited a combination of actives. The refusal seems to be in keeping with the later Medeva CJEU ruling per which it is not possible to grant an SPC “relating to active ingredients which are not specified in the wording of the claims of the basic patent relied on“. Syngenta appealed and, a few weeks later, filed the request for limitation of claim 8, in order to introduce the second active compound, folpel, into claim 8, and thus try to circumvent the INPI’s objection. However, the strategy failed, as the Cour d’appel de Paris confirmed the decision to refuse the second SPC application, on May 30, 2014. Said the court, the INPI director’s decision was correct in view of claim 8 as it stood at the time the decision was made. As a side note, another reason for refusing the SPC application, as of today, would be that it is not permissible to derive a single product SPC and a combination SPC from the same basic patent, as per the Actavis v. Boehringer Ingelheim CJEU ruling – but this is another story. What I do find remarkable is that, by adding a supplemental active compound in a claim, it becomes theoretically possible to get additional patent protection via an SPC – in keeping with Medeva. Doesn’t this show that alleged limitations should be more scrupulously examined for potential side effects of extension of scope than under the Cour de cassation’s basic approach?